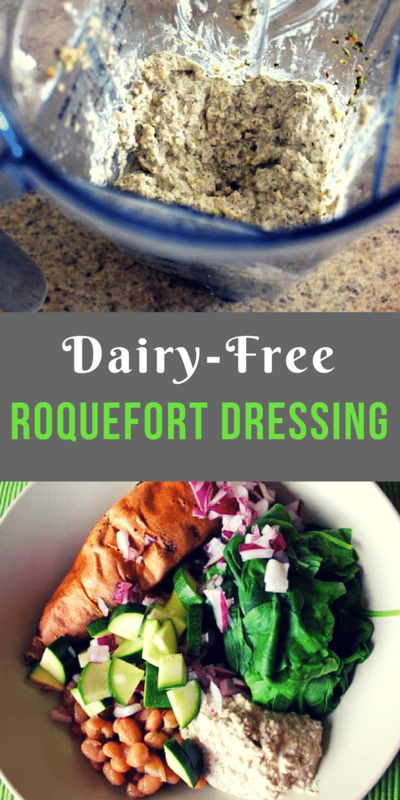 Here’s a vegan and healthy version of Bob’s Big Boy Roquefort Dressing, made creamy using walnuts instead of blue cheese. I didn’t move to California until I was 12 so I don’t have any fond childhood memories of eating at Bob’s Big Boy fast food joint, but my husband sure does. It seems as if most native Californians have stories about Bob’s this or Bob’s that; I remember someone even telling me about a college fraternity prank for stealing the mascot statue one night (I am possibly incriminating my husband here?). So, the other night when I decided to make my own version of nut cheese. I didn’t intend to make a makeover version of Bob’s Big Boy Roquefort Dressing, but that’s what Alan immediately declared it tasted like (with much glee, I might add). This recipe uses nuts, lemon juice and dried herbs. I simply thinned out the cheese with some apple cider vinegar to make it a dressing. I started with walnuts and pine nuts. I then added marjoram, oregano and lemon balm, because those are the dried herbs that have very high antioxidant activity, according to Dr. Greger. To take it to the next step for a dressing, however, you’ll need to use some apple cider vinegar to thin out the cheese a little bit. I prefer to just stir the vinegar by hand into the cheese as opposed to blending it more in the blender because it then stays a bit chunky with little bits of walnut. Personal preference. Gosh, this new technique of making nuts into nut cheeses has opened up a whole new world of dairy-free possibilities for me. 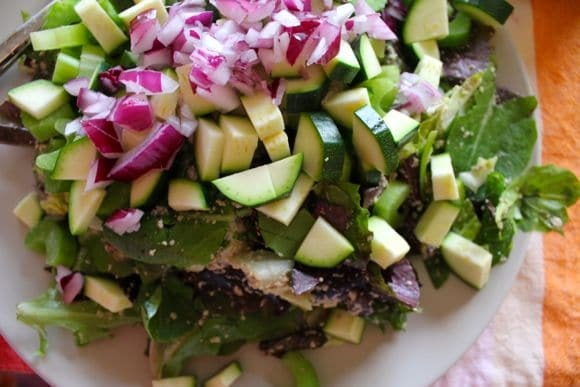 As I eat more and more vegetables to stay healthy, I find that the flavor, texture and satiety that comes from using a nut-based dressing or topping makes all the difference. Avocados achieve the same result for me, but hey, after two years of popping avos, I need a little variety in my life. I really hope you enjoy this new cheese and dressing, please let me know if you like it or if you have any nut cheese faves. 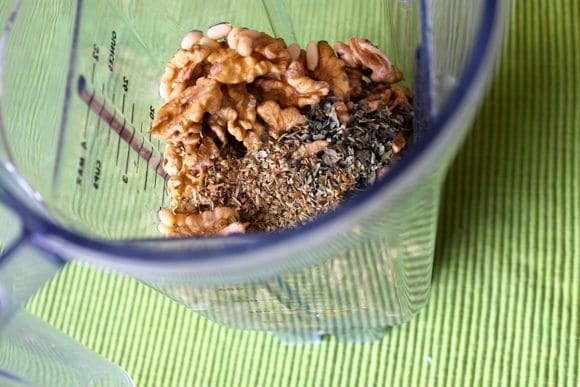 If using a food processor, soak the walnuts in water for 4 hours. Drain and rinse nuts before adding to food processor. If using a high-speed blender, you do not need to soak nuts before using. Combine nuts, lemon juice, dried herbs and garlic in a food processor or high-speed blender and pulse or blend on medium speed until blended but still chunky. 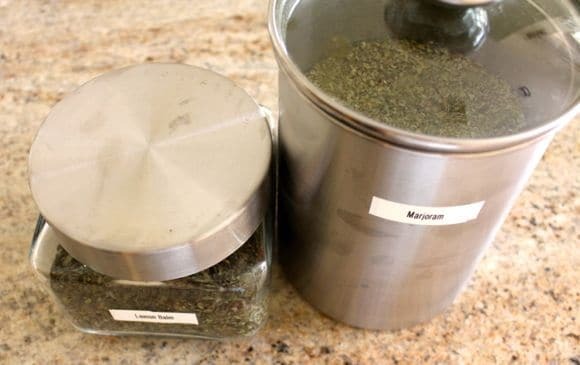 Use a spoon to wipe down the sides and pulse again or blend again. Use a spatula to spoon resulting nut cheese into a container. If you want to make the dressing, simply pour the apple cider vinegar onto the cheese and use a spoon to mix together. 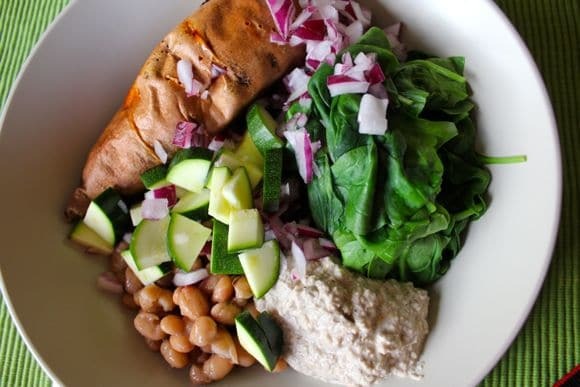 Start with a 1-2 tablespoons of apple cider vinegar and add more until dressing reaches the desired consistency. wow that looks amazing! and what a vibrant salad! Yum, the cheese looks delicious! 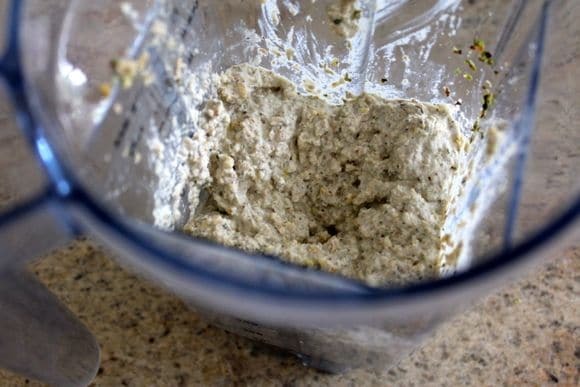 I make a cashew cream cheese that I ferment slightly overnight… very authentic tasting! Emotional eating is something I deal with too. I will look into both techniques you mentioned! Thanks for the comment, Vicky! Ohhhh, fermented nut cheese sounds like a cool next step for me. Any tips? In regards to the emotional eating, the program EBT is based on a book called Wired for Joy by Laurel Mellin and the Shrink Yourself program is based on a book by the same name. I think either one would be great options for working on the issue. I think it will probably be something I always have to work on, but getting help is such a fantastic first step and is making all the difference for me. Hugs to you on your journey! Great, thank you for the info! I will look into them! 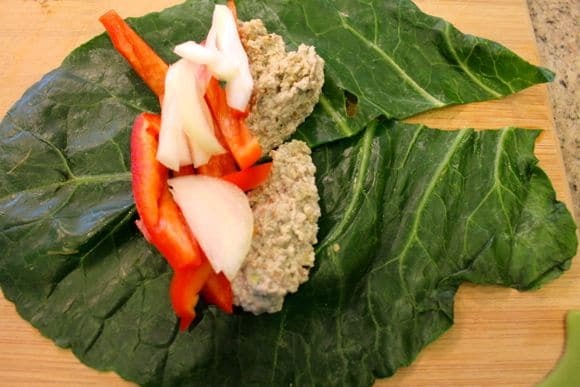 Here is the link to my cashew cream cheese: http://sweethealthyliving.com/recipes/?recipe_id=6023290 I use it in everything from cakes and icings to lasagna! Well that certainly looks easy enough. Thanks Vicky! Does the flavor taste much different than making the cheese with lemon juice? Do you know if healthy bacteria forms after letting it sit overnight? Yes, the flavor is much different than with lemon juice…. much more authentic tasting! Yes, healthy bacteria does form after letting it sit out. I have made it both with and without using a kefir starter (Body Ecology brand) and was able to make it both ways. You can tell when it is done, because there will be lot sof air bubbles throughout the mixture (make it in a glass jar so you can see) and it will smell slightly sour. If you have trouble, I would suggest first trying to leave it out for a full 24 hours, or buying some starter. Also, once you make it you can use 1 T as a starter for subsequent baches and it shortens the fermenting time! Let me know if you try it and how it works out for you! Thanks for the tips, Vicky! I can’t wait to make this and the timing is so perfect! I actually worked at Bob’s Big Boy, first as a server, then manager, for about 8 years! Since you know the desert, where I worked is now a Coco’s on E. Palm Canyon, close to Native Foods (small prayer here that it will reopen). What makes the timing so right is that I just wrote the other day, referencing how my life and diet had changed, that when I worked there, my meal every day was 2 pieces fried chicken, french fries, a “salad” (iceburg lettuce and a tomato slice) with extre blue cheese dressing to dip the fries in. Your husband will probably know that this was called the Chicken Snack. Sorry for the long story, but your recipe got me so excited! I am a member of the Vegan Meet-Up group, but I have yet to participate. I’d love to meet you too. 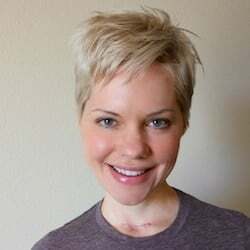 I actually found your blog through Marilyn Ramos, who also introduced me to the group. Do you remember California Grill that was across the street from Whittier College? That was a Bob’s Big Boy and my dad, grandma, and I would go there for lunch in the summers after picking her up from her hair appointment 🙂 I liked sitting next to the window with the air conditioning vent. I loved their dressing, too, so I am excited to try this version sometime. the next time you guys are in Portland, you will have to drive up NW Glisan to NW 23rd Ave – on the corner there (above the spa) there is a condo with floor to ceiling windows… in the corner window is one of the original Bob’s Big Boy statues! I have trouble eating walnuts – how would pecans or cashews do in place?? or other suggestions?? Almonds would work great in this recipe, Bev…can you eat those? I forget about almonds – as of now I have now problems with them. Thanks for the assistance! A beloved recipe in my house! My hubby and I LOVE Cauliflower Buffalo Bites and have them with a creamy vegan dip that is reminiscent of a blue cheese dressing . 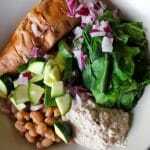 Your recipe is easier, healthier and just as tasty. Thanks so much for the share. Awwwww, thanks for letting me know, Joan! SO happy you liked this recipe!! !